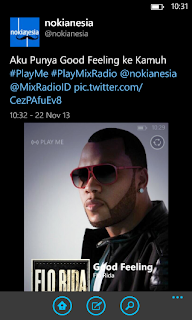 Home / Contest / nokia / Nokia MixRadio / Join #PlayMixRadio Quiz and Get a Free "Nokia Coloud Boom Headphones WH-530" !! Join #PlayMixRadio Quiz and Get a Free "Nokia Coloud Boom Headphones WH-530" !! To celebrate the launch of new Nokia "MixRadio" from Nokia, Nokia Indonesia with @MixRadioID and @nokianesia will hold a #PlayMixRadio quiz on twitter start from Friday 22nd November at 10:00 AM 2013 until Sunday 15 December 2013 at 11:59 PM. Let's Join the celebration, you can get a Nokia Coloud Boom Headphones WH-530 for Free !! 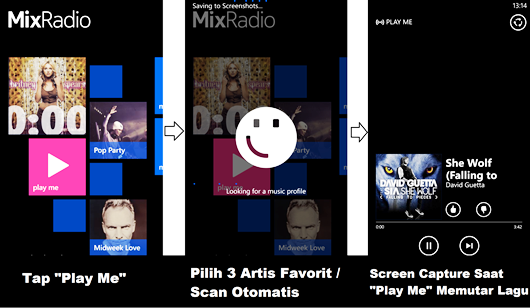 Create your own "Play Me", simply tap "Play Me"
Buat Mix "Play Me" dengan cara menyentuh menu "Play Me"
Setelah itu, maka Mix "Play Me" akan memutar lagu yang sudah masuk ke Mix "Play Me"
Judul / Caption "Play Me" terunik dan terlebay yang akan dipilih sebagai pemenang.